Huggies Heroes | The Kids Beat | Kids VT - small people, big ideas! Want to contribute to a positive change this December? Drop off some new disposable diapers at Dee Physical Therapy. The PT clinic is in the midst of The Great Diaper Drive of 2013 — its sixth annual fundraiser for the Committee on Temporary Shelter, which provides emergency housing for homeless Vermonters. Exercise physiologist Jason Fitzgerald organized the drive after reflecting on his own experience as a father of two. "Anyone who buys diapers knows how expensive they are," he says. Last year's drive brought in 27,000 diapers; COTS went through them in about six months, Fitzgerald says. The drive accepts diapers of all brands and sizes — as long as they're dry. 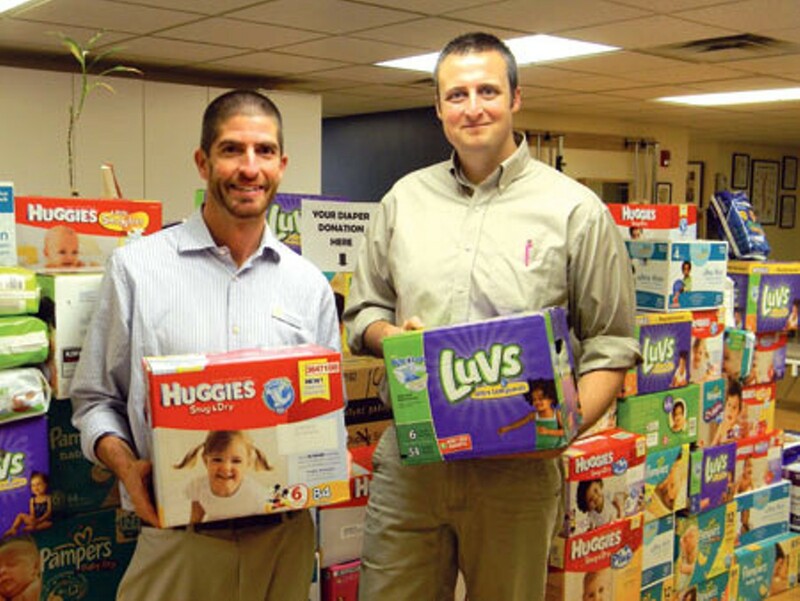 The Great Diaper Drive of 2013: Drop off diapers until December 20 at one of two Dee Physical Therapy locations: 23 San Remo Dr., South Burlington, or 166 Athletic Dr., Shelburne. Find more information at 865-0010 or facebook.com/deeptdiaperdrive2013.